Before investing in an ice and water vending machine, it is important to investigate and understand what certifications, if any, the product you are buying has gone through. All manufacturers DO NOT get their machines certified by the agencies that were set up to protect the consumer, so you will need to investigate. In many states, ice and water vending machines must be NAMA certified to be approved to sell ice and/or water. In addition, many zoning departments require that the machine be ETL listed. The NAMA machine evaluation program requires ice and water vending machine manufacturers to build equipment in conformity with the public health requirements set forth in the U.S. Food and Drug Administration Public Health Service Model Food Code. It also provides a means by which customers and public health officials can identify those machines that meet both the FDA food code and NAMA design and construction standards. Any machine that has gone through this rigorous evaluation process will be listed on the NAMA website. Please click the NAMA logo to review this listing. 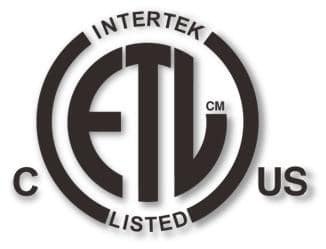 ETL (Intertek) – Only ice and water vending machine manufacturers displaying the “ETL Listed” mark can certify that they have been independently tested and have met the applicable published safety standards of product compliance for North America. Authorities accept the ETL Listed mark as proof of product safety. Make sure the machine you are considering for purchase has been certified against these product safety standards. Kooler Ice was among the first to invest in these important certifications and all of our ice and water vending machines are NAMA approved and ETL listed to protect you, the owner, as well as your customers. Our machines are audited every quarter by ETL and once a year by NAMA. In addition, for added consumer safety, Kooler Ice designed its own bag tracking system when we designed our bags to further ensure the comfort of Health Department officials that public safety could be monitored.